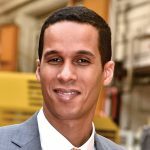 Brahim Stitou joined Atlas many years ago as a trainee mechanic, with no formal qualifications but a deep desire to work hard. Today, he is the CEO of the multimillion-dollar German firm, which has been building cranes and excavators since 1919. Brahim’s leadership style can be described as rather straight-to-the-point. “It is very simple; hard but fair,” says the German-born business leader of Moroccan descent, adding that bosses should buy a dog if they want to be liked. His direct approach seems to be paying dividends for the company, which has seen orders for its tailor-made machines boom since Brahim took over as CEO. Under his leadership, Atlas has acquired a number of smaller companies, such as Starz, which makes cable harnesses and control panels for special vehicles and large machines. Atlas has also expanded into new markets. “We just entered the Thai market and sold more than 100 cranes to the government there,” says Brahim. Atlas has seen its revenue more than triple in Sweden and the US, while it has also experienced a significant increase in activity in South American countries like Argentina, Chile and Peru. 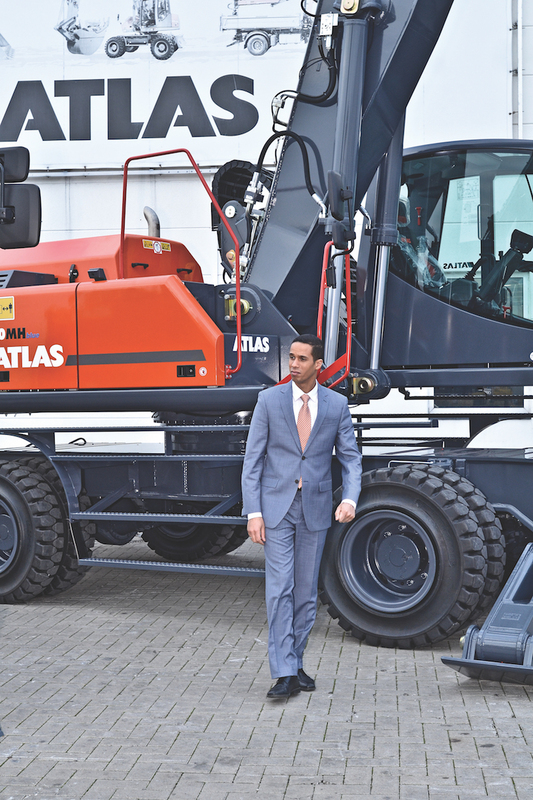 The company’s global sales have soared to the point that Atlas machinery sold out at the end of 2018, Brahim says. That success is largely down to the firm’s highly effective network of 550 dealers. “We are putting money and effort into training our dealers so they can help our customers and make sure that they are satisfied when they buy,” says Brahim. Part of Atlas’s success could also be down to the innovative ways in which Brahim engages with stakeholders. He flies some lucky customers and dealers to visit factories on the company’s nine-seat private jet, while others get invites to Oktoberfest events in Germany, for example. This year marks Atlas’s centenary and Brahim doesn’t intend to hold back. There will be a big celebration with lots of music, he says, revealing that there will be a Frank Sinatra tribute act as well as some actors in attendance. Atlas was bought by former Terex executive Fil Filipov in 2010 and Brahim considers Filipov a good friend and mentor. “He’s my private adviser and he’s just a great person,” says Brahim. Brahim says he speaks to Filipov often, and if there’s one thing he’s learnt from the 71-year-old, it’s that it’s best to go to the problems and fix them. Many of the machines Atlas sells are unique and built to suit the customer’s needs, giving it an edge over its competitors. 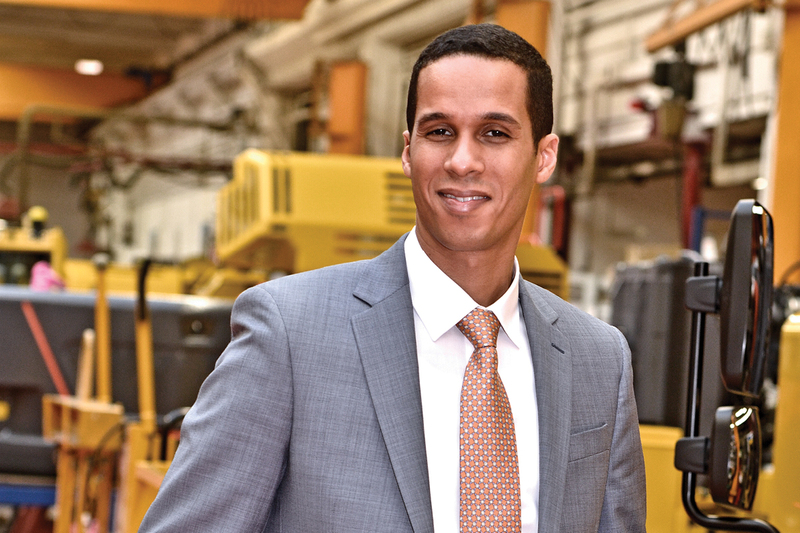 Brahim has been thinking about the future of cranes and excavators lately as he looks ahead to see where the industry is headed. One thing’s for sure, according to Brahim, machines will get greener and more environmentally friendly in the coming years. Atlas is already putting Tesla-style electric batteries into 20-tonne machines for some customers and this trend is set to continue.